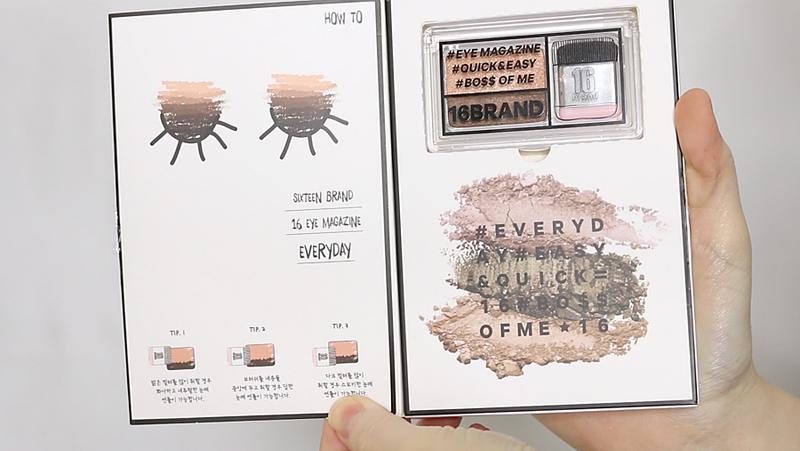 Specifically 16Brand duo eyeshadow have been known as one of the easiest eyeshadow in the world. 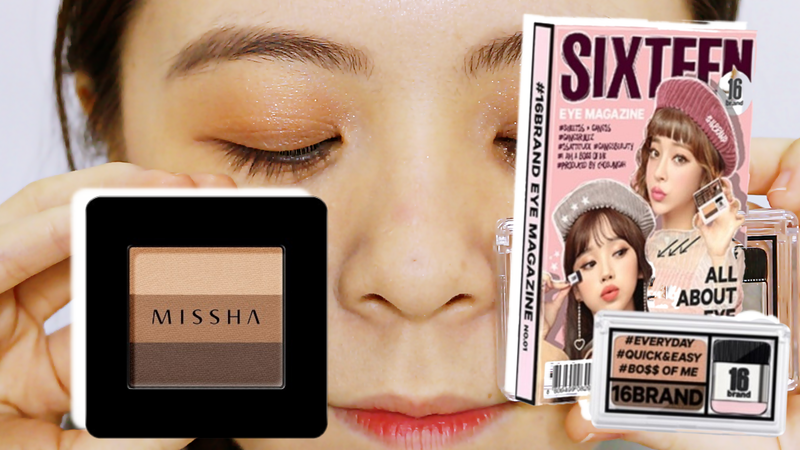 After many viral videos speaks highly of it, I couldn't help it but to take the opportunity with my Althea points to get this eyeshadow and another similar concept eyeshadow to compare them side by side. So I've got the 16Brand Eye Magazine in 01 Everyday shade and the Missha Triple Shadow in 14 Dewey Apricot. Check out the video review below for more visual. This is really expensive for just a duo eyeshadow. If it wasn't because of Althea perk points, I wouldn't even lay my hand anywhere near it. I just think that it's such an over hyped product. Sure the shades are pretty and all but really, RM41 for something like this? Man, it better be God-sent-product. Unfortunately, it's not. The glitter fall outs were crazy with the provided brush, even when I tried it with my fingers, there where still glitter going everywhere on my face. 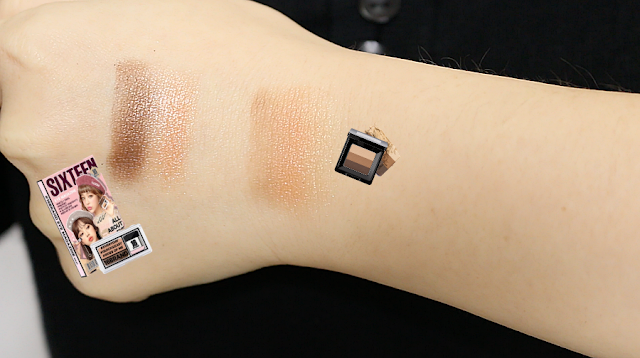 It is definitely pigmented, blendable and buildable, but it really not as easy as one swipe. You'll still need to find a technique to make this work. I feel I have better eyeshadows that looks better and works better on my lids. 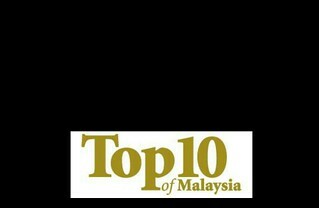 I got this from Althea too and I tried to find one with the closest match to the colours of 16brand. I personally prefer this so much better as it gives me much more control without the crazy glitter flakes. The outcome of this looks sheer but buildable and doesn't have too much fall out. Quick and easy to blend with fingers for an everyday look. If you watch the video, you can see the dusty glitter flakes gathering around my under eyes. Tried to dust them off but as you know, glitters sometimes love sticking around like glue. My thoughts, it's not worth paying RM41 just for the overhyped 16Brand eyeshadow, there are other cheaper brands that works better.